Drawsome! Artist & Drawsome! 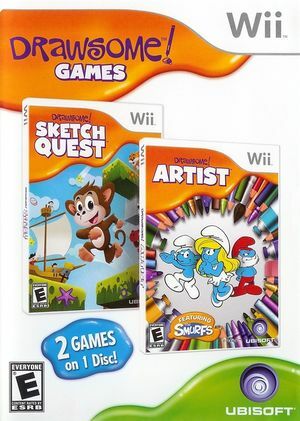 Sketch Quest is a compilation disc consisting of Drawsome! Artist and Drawsome! Sketch Quest. The Drawsome Tablet required by Drawsome! Artist & Drawsome! Sketch Quest is not emulated by Dolphin. A real Drawsome Tablet and Wii Remote are required to play. The graph below charts the compatibility with Drawsome! Artist & Drawsome! Sketch Quest since Dolphin's 2.0 release, listing revisions only where a compatibility change occurred. This page was last edited on 7 January 2018, at 10:37.